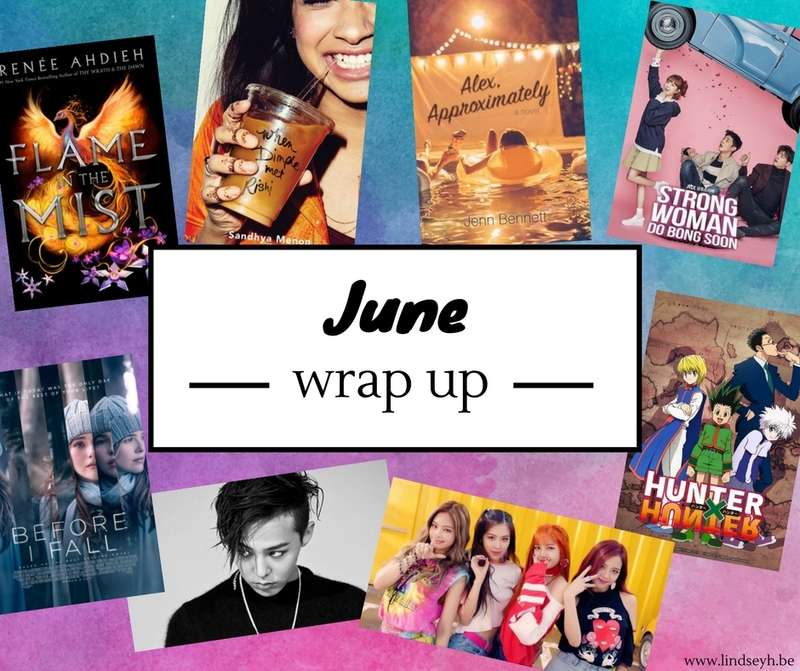 Hi guys, and welcome to my June wrap up! June was pretty… eventful. I actually didn’t read a lot, I didn’t listen to a lot of music and I didn’t watch a lot of movies and tv. But some great things did happen to me and a lot of things changed. Things that have also led me to make a blogging announcement. I’ll explain everything in my post below, but first let’s talk about what I did read/listen to/watch in June! I absolutely adored this book. Flame in the Mist is pitched as “Mulan retelling meets 47 Ronin” and while that definitely drew me in, make no mistake: Flame in the Mist is so, so much more than that. Set in Feudal Japan (not the China of Mulan), the only big, crucial thing Flame in the Mist has in common with Mulan is a girl pretending to be a boy. Other than that, Flame in the Mist is its’ own original, delicious self. The writing style is vivid and gorgeous, the characters are so unique and lovable and the romance is my favorite kind of enemies-to-lovers trope in all its’ glory. The only downside for me was the pacing, but despite this, I’d still highly recommend it to anyone interested in Japanese mythology, Feudal Japan, gorgeous writing and swoon-worthy romance. 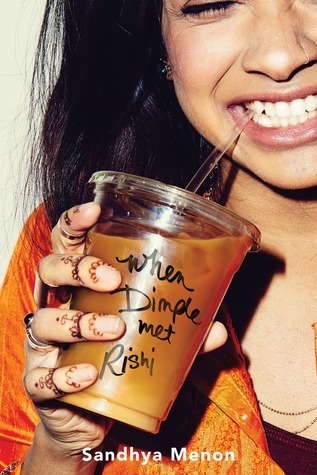 When Dimple Met Rishi was cute and adorable and the perfect diverse and summery read. I loved it, but I have to say it was also not 100% what I expected. Perhaps my expectations were too high, but I still feel like it had some flaws. Biggest of all being that the antagonists were too stereotypical, I missed some better developed secondary characters and I had expected more coding, since that’s what these characters were supposed to be doing all summer. But all the love for a story featuring two Indian-American main characters! And I must say that Rishi Patel is now one of my favorite book boyfriends of all time, because he is just the sweetest. Since this was pitched as a YA “You’ve Got Mail” and I have a thing for pen pal romances, I jumped on this. And while it was definitely a fun, solid contemporary, it wasn’t a favorite for me. I think this had to do with the fact that there wasn’t actually a lot of focus on an actual pen pal romance, or the pen pal elements we got were verrry limited. It turned out to be more of a summer romance contemporary, which is completely fine, but just not what I was looking for. Well, I’ve still been listening to a lot of K-pop and we had a lot of great new releases the past month: the new G-Dragon album, the new Monsta X and the new Blackpink, which have all been on repeat pretty much every day. In non-kpop news, I’ve been in love with Crooked Teeth, the new album by Papa Roach. I’ve also been listening to some Sleeping With Siren and Good Charlotte, since I got to see them in concert this month (yay!). Other than that though… I’ve been a bad music listener. I know Fall Out Boy has a new song out, but I honestly only listened to it once so far so I need to get on that! Also, I can’t not mention BTS Festa. As you may know, I’ve recently fallen in love with K-pop boy band BTS and I couldn’t have become a fan at a better time – since they had their 4th anniversary this month and celebrated with over two weeks of daily content, such as videos, pictures, dance practices and of course some new music. And I LOVED every minute of it. This is definitely a much lighter, fluffier drama which is filled with a lot of humor, even though it’s balanced with a creepy kidnapper plot. I greatly enjoyed this one and appreciated how it tackled typical gender roles and expectations. Also, the main couple is just too adorable. They are called the ‘puppy couple’, so that already gives you an idea of how adorably cute they are! I was in need of a new anime to watch and my brother recommended Hunter X Hunter. 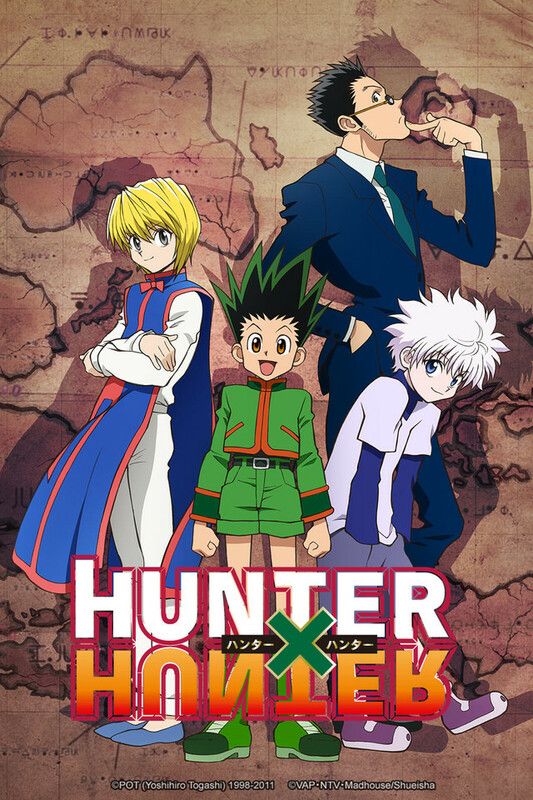 Badically, this is about a young boy named Gon, whose dream is to become a Hunter just like his dad who he’s never met. To do this he leaves home to enter the prestigious, difficult and dangerous Hunter exam and of course he makes both friends and enemies along the way. Though it took me 3-4 episodes to get into the story, I am now officially 35 episodes in and HOOKED. I love this story so much – it started out as just a fun, cute anime, but it has become so much more than that. My favorite characters are Killua (a kid assassin, go figure) and Kurapika (a boy out for revenge). Yes, I have a type when it comes to favorite characters, is that obvious? I only watched this one movie this month but I really enjoyed it. I’ve had the book, about a girl forced to relive the last day of her life over and over again, on my shelf for ages and I kind of gave up on reading it and watched the movie instead. I know, I know, SHAME ON ME! But I liked the movie so much that I may need to give the book a try though. I mean, once I’ve pulled myself back together, because boy did this movie turn me into an emotional sobbing mess! This didn’t turn out the way I expected, but I was really pleasantly surprised. I’VE GOT A NEW JOB! Obviously I’m super happy and excited about that 😉 I applied there beginning of June and after 2-3 interviews and some tests I was invited to start work pretty much right away. It’s an interesting and fun job with lots of variation and the fun part is… it’s actually located five minutes from my home! So no traffic stress which is just awesome! As I already mentioned a little above, I got to see Sleeping With Sirens and Good Charlotte live! I was soo happy about that, because Sleeping With Sirens is one of the main bands that got me through 2016 and I adore them to pieces. And they were so amazing live! Kellin’s voice is heavenly. Also, we actually got a surprise performance by State Champs! After Sleeping With Sirens they came on stage and played Secrets. I only just discovered them this year and I was so shocked to see them there, but also so happy even if we only got the one song. And of course Good Charlotte was pretty amazing as well. Though I mostly went for Sleeping With Sirens, I have always liked Good Charlotte’s music and so I really appreciated I got to see two (three if you count State Champs) amazing bands at just one show. Well… after a year and a half of blogging the time has come for me to announce my first ever… semi-hiatus. As you read in my post above, I just recently got a new full-time job. While I’ve been getting by for a few weeks with a few scheduled posts, I’m starting to feel the struggle. I’m not used to a full-time work schedule anymore, so I may need a little time to get back in the swing of things. Add to that the fact that I’ve been feeling a bit slumpy for a while now, and I just haven’t been as present in the blogosphere as I want to be. Which makes me feel guilty, which in turn only worsens the slump. So that’s why I want to do a semi-hiatus. This is not a full-time hiatus. I’ll still be around. I’ll definitely still be reading and trying to get my reading groove back. I’m doing a buddy read of the Heroes of Olympus series with Uma from Books.Bags.Burgers which is already so much fun and motivating me again! I’ll still try my best to visit your blogs and comment, even if it’s a little less than I usually do. But I’ll be slowing down with posts for a week or two. Since Top Ten Tuesday is also on hiatus, it feels like a perfect time to do this now. I’ll probably still write some reviews or other posts when inspiration strikes, but the main idea is to not pressure myself for a few weeks. So I can get my reading and blogging groove back, and get back in the swing of things. Like I said, it’s only a semi-hiatus. I love blogging and my blogging friends too much to stay away completely or too long 😉 Seriously, you guys have no idea how much you all helped me get through the past few months! I love you all and THANK YOU! How was your June? What did you read? What did you listen to and what did you watch? And what are your plans for July? I really need to read When Dimple Met Rishi! It sounds so adorable. I’m so happy you had a great time seeing Sleeping With Sirens and Good Charlotte 😀 I LOVE State Champs so that’s so cool that they made an appearance!! The FOB song is not great imo which makes me sad, haha. Taking a hiatus is totally understandable ♥ I hope everything goes well with your job, Lindsey! Sending good vibes. When Dimple Met Rishi was really adorable, hope you’ll enjoy it when you get to it! Thanks so much Lauren! I’m happy I decided to take a small hiatus but I also already really miss blogging so I hope to be back soon! Congrats on the job! The Werchter festival sounds like a lot of fun. And I need to watch Before I Fall- it sounds really good. When Dimple Met Rishi is getting such good buzz I’m tempted to read it. Alex Approximately was another one. Thanks so much! Werchter was so much fun indeed 🙂 Hope you’ll enjoy Before I Fall, Dimple and Alex when you get to them. Thanks again! Have a great summer as well! Congratulations on your new job. That is great. And taking a semi-hiatus I completely get. Getting used to a full time work schedule again can be so hard. Oh Hunter x Hunter! I used to read the manga and loved it. Never was able to watch the anime though. I got to read Flame in the Mist too and really loved it. I can’t wait for the next one. I need to know what happens! lol! I just bought When Dimple Met Rishi AND Alex, Approximately so I hope I end up enjoying both of those. Hope you have a great July! 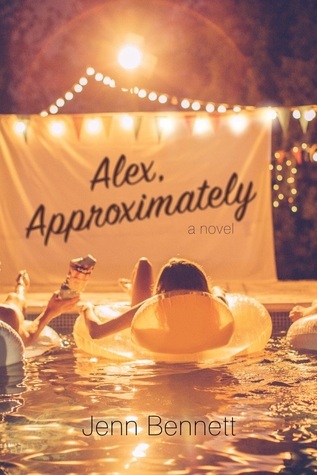 Hope you’ll enjoy When Dimple Met Rishi and Alex, Approximately! Congratulations on the new job! And a short commute is really the best. Yay for the new job!! Congratulations!! I’ve been looking out for news of that, and I’m so happy for you. Glad it was a great month life-wise, even if you didn’t read or watch that much. These books are fantastic, though – I’m dying to read most of them. And yes, they were some great books, even if there weren’t many of them! Hope you’ll love them too when you get to them! I love how the books you read match in color lol. Congrats on your new job! Good book list. Also congrats on the new job! Sounds like a good one too! I’m currently reading The Girl with the Dragon Tattoo! I would truly appreciate it if you could check out my book reviews blog located at https://elsbookreviews.blogspot.ca/ and possibly give it a follow as well! Looking forward to reading more of your reviews! Lovely blog. I found you through Suzanne (Bookish Libra) via the Twitter hop. Too bad you are going on a semi hiatus. But I hope you will soon be able to manage the job and the blog. And hey!! Congratulations on the new job. I hope you will love it. Thanks so much! 🙂 And I definitely hope to get back in the swing of things soon, because I’m already itching to get back to blogging! Hope you’ll enjoy the Renee Ahdieh and Sandhya Menon books when you get to them! Congrats on your new job! So exciting. I totally get you on When Dimple Met Rishi! I really love it, and I recommend it for what it is. But I was really bothered by Dimple’s “I’m not one of those girls” attitude towards the characters who weren’t like her. Congrats on the new job! I can completely understand wanting to take a mini-break so get settled in at your job and into a new routine overall. And yay that you loved Flame in the Mist. I really can’t wait to read it. Also, I so hope you’ll love Flame in the Mist! Glad to see ‘Alex’ and ‘Dimple’ on your list. Makes me all the more aware I need to read these two; both sound like great summertime reads. 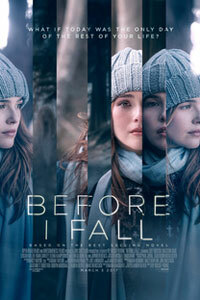 Also, you’ve reminded me I need to watch “Before I Fall.” I’ve been trying to read the book, but to be honest, am finding it a little bit… well, boring. I’ve a feeling the film will move things along at a much quicker clip. Hope you’ll love Alex and Dimple 😉 And I haven’t read the Before I Fall book, but I did really enjoy the movie, so I’d definitely recommend that one! I think it’ll indeed b a quicker pace than the book so hope you’ll enjoy it! Oh I didn’t know that about Hunter X Hunter! But it’s too late for me as I’m already deep into the anime and already addicted 😉 Hope it’ll still get a proper ending though! And from what I’ve seen so far, I’d definitely recommend it! Hm… well I left a comment the last time I was by and it looks like it was a good thing I checked. Congratulations on your new job! It can be stressful trying to balance a full time job with blogging. I have Alex, Approximately and When Dimple Met Rishi on my tbr pile. I’m hoping to read them this summer. Hope you’ll love both Alex, Approximately and When Dimple Met Rishi! I’m so glad we are buddy reading the entire series Lindsey 🙂 Congratulations on the new job 😀 And I can totally relate to the not having time! You know how busy I keep these days with my postgrad. I still do find time to read but blogging has been a bit slow this month! Thanks for suggesting the buddy read Uma, it’s been so much fun! Hope you’ll enjoy When Dimple Met Rishi when you get to it! Lindsey! I’ve been around, and I’ve had this open FOREVER to comment on. I’m sorry! CONGRATULATIONS ON THE NEW JOB!!! How is it going? Hope the semi-hiatus is going well and looking forward to seeing you on here when you ARE around. I’ll be around checking out your blog and all I missed soon! Hope you’ll have an amazing rest of the month Marie!